In May 2017, Osprey Games will release The Lost Expedition, a solo or cooperative game about survival in the Amazon jungle. An expedition has been sent into the depths of the Amazon to rescue the legendary explorer Percy Fawcett who has been reported lost, only to find themselves in desperate straights. Now the players must work together to find a way out before they succumb to the dangers of the jungle. 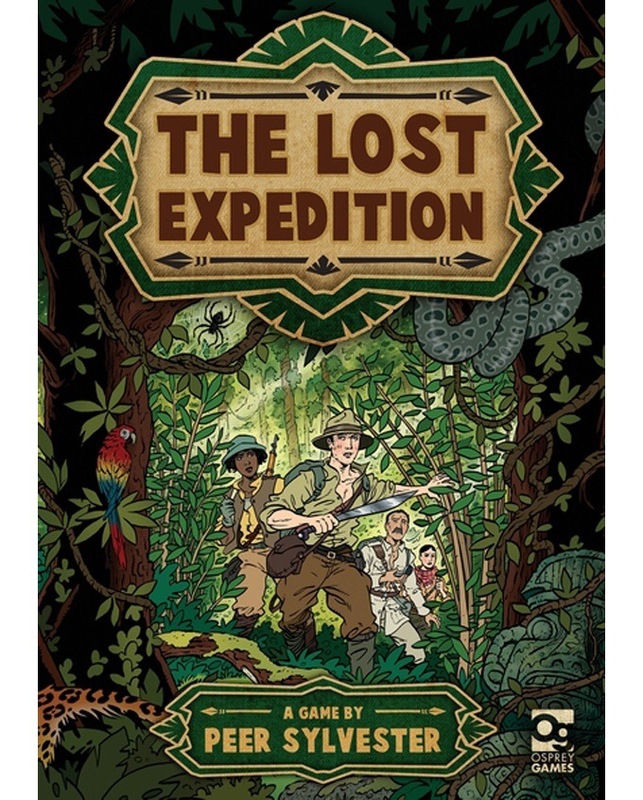 Designed by Peer Sylvester (The King is Dead, Discover India), The Lost Expedition can be played as a solo game, as a cooperative, or competitively between teams of explorers racing to be the first out of the jungle. The game features artwork by Garen Ewing. The Lost Expedition includes 2 game boards, more than 60 cards, 2 playing pieces, and game tokens. The MSRP is $35.00. Last month, Osprey released another great game in Escape from Colditz, which continued their recent strategy of releasing high production value games that are sure to be regulars at varied gamers’ tables. I look forward to Osprey’s new line of games in 2017! Previous Previous post: Best 3 Games with…One Hit Wonder!